This gaming system cable also fits easily in a pants pocket and is safe for travel. We will do our best to resolve any problems that may arise. Included:Link Cable. 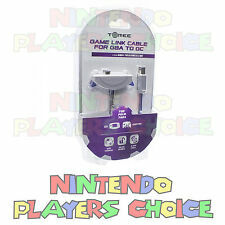 Tomee 6' Game Link Cable for Nintendo GBA Game Boy Advance to GameCube - NEW! 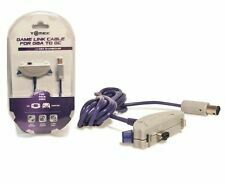 4.5 out of 5 stars - Tomee 6' Game Link Cable for Nintendo GBA Game Boy Advance to GameCube - NEW! 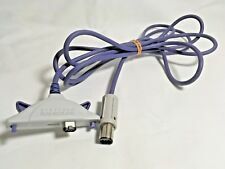 35 product ratings35 product ratings - Tomee 6' Game Link Cable for Nintendo GBA Game Boy Advance to GameCube - NEW! 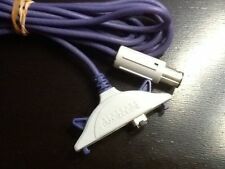 OEM Nintendo Gameboy Advance to Gamecube Link Cable Cord. Condition is Used. Shipped with USPS First Class Package. Trending at $9.17eBay determines this price through a machine learned model of the product's sale prices within the last 90 days. The model is DOL-011. It is in great physical condition and has been tested to work great! Region Free. Tested and Working. JP VIDEO GAME. USED Nintendo Genuine Official. [ Made in Japan ]. [ language : Japanese Vesion ] Japanese Version. Made in Japan P roducts! Yotsubato Lot 1-13 Compleet Set. Japanese Version. State, Image Viewing. Cable has been cleaned, tested and works 100%. We are committed to serving the gaming community. You may also be interested in. They are in excellent condition as good as new. I don't know what they are for but at least one of them says Nintendo. Our aim is is simple: to provide excellent service and prices. I am a Brit living in Japan. I want to bring a slice of Japan to a worldwide audience at a very reasonable price. 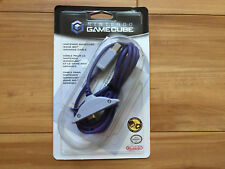 NEW Unopened Nintendo Gamecube Game Boy Advance Adapter Cable Official OEM DOL-011. Also has a port to allow chaining further cables. Bank Deposit, Money Orders. In Good Condition. No Foreign Cheques. Personal Cheques have to clear before goods are released. 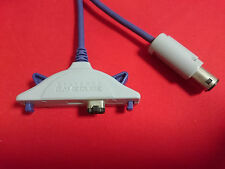 Allows head-to-head play with easy-to-connect cable. I participate from Japan. I’m Japanese living in JAPAN. I love Japan. Moreover, I am happy that we can send a wonderful Japanese product to the people in the world. Condition:Used AB( excellent/ S > A > B > C > Bad). Pattern picture! Item may differ from the photo. The Konsolenkost-Team wishes you a lot of fun. Item condition Condition of Use. Cancellation Right. Privacy Notice. Important Notes. Pattern picture! Item may differ from the photo. New product from dealer. The Konsolenkost-Team wishes you a lot of fun. NEW & BOXED. New product from dealer. Condition of Use. Cancellation Right. The item in the photo is the one you will recieve. If it's not in the photo, it won't be included. International shipping available Please see my other auctions. We combine shipping Ask any questions and Thanks for looking. Condition is Used. We do our best to represent them in a clear, concise and honest way within the limited confines of our knowledge. Rather you are probably purchasing the item from a second ,third, fourth, or fifth, and so on parties. Wire has no bends, breaks or cuts. All plastic is in good condition with no breaks or cracks. See pics for exact condition. 5 out of 5 stars - Tomee 6' Game Link Cable for Nintendo GBA Game Boy Advance to GameCube - NEW! 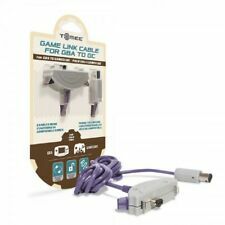 1 product rating1 product ratings - Tomee 6' Game Link Cable for Nintendo GBA Game Boy Advance to GameCube - NEW! Blue Shell Gaming is the central valley's premier gaming resource. Blue Shell Gaming Online is a smoke and pet free facility. 1000's of titles, accessories, consoles and gaming collectables, in two convienent valley locations. 1000's of titles, accessories, consoles and gaming collectables, in two convienent valley locations. Specializing in retro titles and systems but also featuring the newest and hottest titles from Playstation 4 and XboxOne.